The WA Government is concerned with the level of hoon-related activity occurring on our roads and is keen to send a strong message to irresponsible drivers that such antisocial driving behaviour will not be tolerated. A hoon driver is anyone who drives at very high speed or in a manner that is considered highly dangerous or antisocial. Vehicles that are being driven in a reckless or dangerous manner, such as doing burnouts or racing another vehicle, can be impounded under the Road Traffic Act 1974. The WA Police Force also has the power to impound the vehicles of drivers who exceed the speed limit by 45 km/h or more. Those who have their vehicles impounded by police are responsible for all costs including towing and storage. 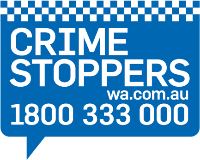 Traffic related online services including paying infringements, applications, updating details, report a hoon and report a crash.